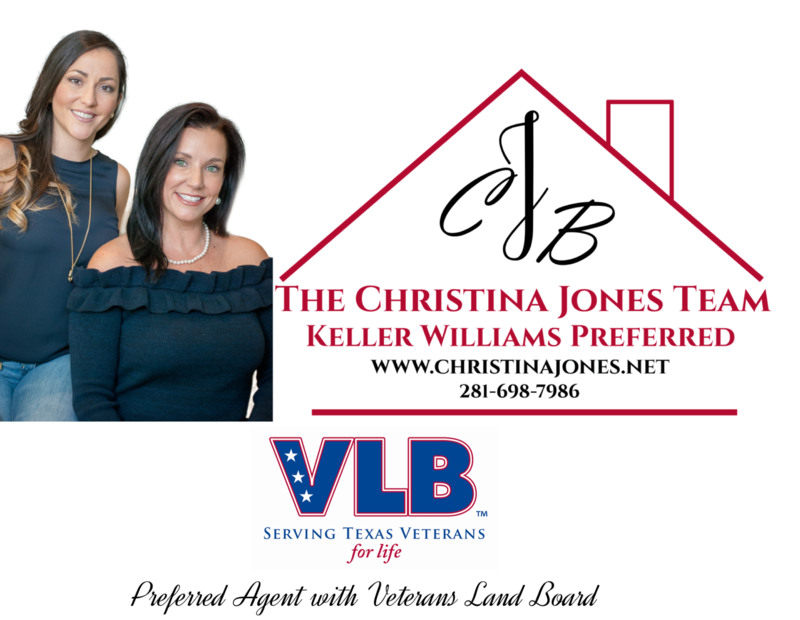 The Christina Jones Team at Keller Williams Preferred is a PROUD Preferred Agent with the Veterans Land Board! Are you a Veteran, Active Duty Service Member or Member of National Guard/Reserve? If so, first and foremost, THANK YOU for your service. Secondly we want to let you know The Christina Jones Team wants to be your REALTOR® of choice for all of your Real Estate needs. We love our Veterans and want to make sure you are taken care of the way you DESERVE. Together with our preferred lenders who specialize in VA and Veteran Land Board loans, we will ensure your home purchase experience is one with YOUR needs as a priority and that you have every benefit available to you. Below is a bit of information on available programs. Call 281-698-7986 today or fill out a contact request form below for more information! – can be used in conjunction with FHA, VA and Conventional Loans! 90 cumulative days of active duty service or active duty training in the U.S. Armed Forces, USPH, or recognized reserve component, or National Guard, unless discharged sooner due to a service-connected disability. Texas Residency with the intent to remain. May include residents currently serving on active military duty outside of Texas. Applicants must be bona-fide residents. Unmarried surviving spouses. Spouses of eligible Texas veterans who are MIA, KIA or died from a service-connected cause may be eligible. FOR MORE INFORMATION PLEASE CONTACT US AT 281-698-7986 OR FILL OUT THIS FORM PROVIDED AND SOMEONE WILL BE IN TOUCH WITH YOU SOON.